UPDATE: “Three Billboards Outside Ebbing, Missouri” is the Oscar favorite. Martin McDonagh’s film won Best Ensemble at SAG, plus Best Actress and Supporting Actor. 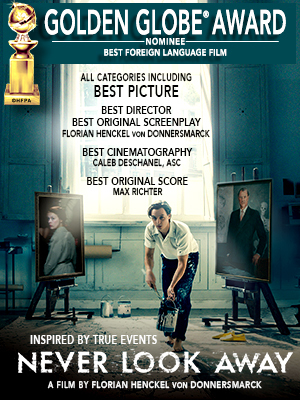 With wins at most other awards shows, “Billboards” becomes the odds on winner for March 4th. The SAG Awards have started in Los Angeles. William H. Macy won the first award, for “Shameless.” Aziz Ansari was a no show because of his date scandal. He should have gone, frankly. Julia Louis-Dreyfus won Best Actress in a TV comedy. She’s also absent, undergoing treatment for breast cancer. “Veep” won Best Comedy Ensemble; actor Matt Walsh accepted and thanked everyone for the Grammy. (Funny.) We will really miss “Veep” after its final season. Best Supporting Actress– Film–goes to Allison Janney. It’s a little bit of irony since Laurie Metcalf picked up the Tony Award last June, and Janney wasn’t nominated (robbed!) Now, everyone gets something. Nice. Best Supporting Actor– Film — Sam Rockwell. It’s his year, and he waited a long time. Much deserved. He has so many excellent performances on his resume– check out “Moon” directed by Duncan Jones. Alexander Skarsgard wins Best Supporting Actor in a Mini-Series– nice nod to Robert DeNiro. Sorry that AS won’t be in Season 2 of “Big Little Lies.” If only they’d known in advance. Best Actress in A Mini Series: Nicole Kidman her first SAG Award, which is incredible. She has never looked better, too. And it’s a classy speech thanking all the women who came before her– by name…Plus, Keith Urban looks so proud, he’s glowing! Rita Moreno and Morgan Freeman are a wonderful value added to this show. But why is he wearing that hat? PS I’ve never seen Helen Mirren in that L’Oreal commercial. How great! Sterling K. Brown is now going to get an award for anything he does. He better get off that TV show and get to movies ASAP…In the last year he’s won an Emmy, a Golden Globe, a Critics Choice Award, and a SAG Award. Claire Foy finally wins! for “The Crown.” Things will be ok after all. Shock: “This Is Us” wins Best Ensemble, TV drama. And we still don’t know how Jack died. Gary Oldman wins Best Actor for “Darkest Hour.” He’ll win the Oscar. Norman Lear on Getting the Producers Guild Award at Age 95: "I feel like I'm at the apex of my career"